Because of my interest in Life/God/Soul/Love/orwhateveryoucallit, I listen a lot to religious records. But most of what I get to listen to in this genre is not appealing to my take on these matters. I mean, I hear more Soul/Love/God/Life/orwhateveryoucallit in most ordinary love songs that are played on any top 40 radio station. 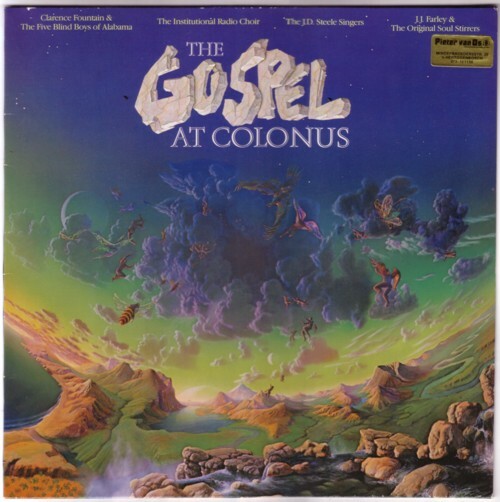 Yesterday I discovered the LP The Gospel at Colonus . It is was released on Warner Brothers in 1984, but I had never seen or heard it. Many famous names contributed to what sounds as a recording of a musical, but that is nowhere mentioned. And among the musicians are Clarence Fountain & The Five Blind Boys of Alabama and The Original Soul Stirrers. Not names that you pass by when you can buy them on an LP for the price that I paid for it. I love to listen to gospel, but usually only when it is recorded before the mid-sixties. Because this LP is from twenty years after my Gospel barrier, I didn’t think to much of it. 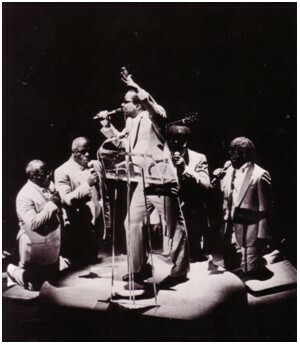 But it is an inspired production, with this song, by Clarence Fountain & The Five Blind Boys of Alabama, as the highlight. Lift me up was a perfect song for the mood I was in when I listened to it yesterday. In my view Heaven is a state of mind, just like Hell by the way. When I am down, I am in Hell. And when I have fun, its Heaven. Today I am in Limbo, just like Neo in the Matrix, in the scene where he is stuck in an underground station (named Mobil Avenue, because Mobil is an anagram of Limbo). I have no idea how to get out of this place/state, but usually waiting does it, so I just wait for my train. Which reminds me of another hidden gospel song, about a guy/girl who is stuck in Limbo Station and realises that the train/orwhateveryoucallit she/he is waiting for has already long gone.